Assessments or screenings do not teach kids how to read. Duh! And no one worth their salt would ever debate the merits of early reading intervention. Effective reading programs determine the skills our kids need and ensure these skills are developed. Using DIBELS, one can effectively measures Phonemic Awareness, Alphabetic Principle, and Oral Reading Fluency; all very important early literacy skills. Anyone who debates that these skills are not important is contradicting mountains of research stating otherwise. In 2010, the University of Oregon released an updated version of DIBELS 6th Edition called DIBELS Next. Schools now have the choice of using the original 6th Edition or the revised version. Our school district made the move to DIBELS Next. We've used DIBELS Next since the 2011-2012 school year. While we like the replacement of the kindergarten Initial Sound Fluency (ISF) measure with a much improved First Sound Fluency (FSF)measure, Katie and I both like the 6th Edition over DIBELS next. For an in-depth look on Using Data to Improve Student Achievement and how to effectively progress monitor, check out Katie's above link! Initial Sounds Fluency (ISF, 6th Edition Only) measure is a standardized, individually administered measure of phonological awareness that assesses a child's ability to recognize and produce the initial sound in an orally presented word. First Sound Fluency(FSF, DIBELS Next Only) measure is a standardized, individually administered measure of phonological awareness that assesses a child's ability to recognize and produce the initial sound in an orally presented word. Letter Naming Fluency (LNF) is a standardized, individually administered test that provides a measure of risk. Students are presented with a page of upper- and lower-case letters arranged in a random order and are asked to name as many letters as they can. Phoneme Segmentation Fluency (PSF) measure is a standardized, individually administered test of phonological awareness. The PSF measure assesses a student's ability to segment three- and four-phoneme words into their individual phonemes fluently. 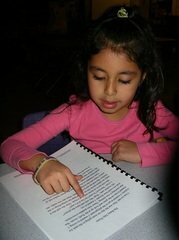 The PSF measure has been found to be a good predictor of later reading achievement. Nonsense Word Fluency (NWF) measure is a standardized, individually administered test of the alphabetic principle; including letter-sound correspondence in which letters represent their most common sounds and of the ability to blend letters into words in which letters represent their most common sounds. 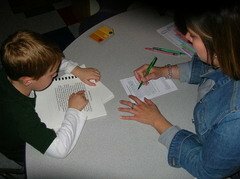 Oral Reading Fluency (ORF) is a standardized, individually administered test of accuracy and fluency with connected text. For additional FAQ's about DIBELS, check out the Dynamic Measurement Group. Classroom assessments should serve as a meaningful source of information for teachers, helping them identify what was taught well and what students need to work on. Assessments must be followed by high-quality, corrective instruction designed to remedy whatever learning errors the assessment identified. 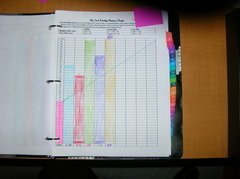 We use the Progress Monitoring Reading Behavior Template to document these errors. Why U of O Recommends New Goals?